Do you need a little help getting off the fence? 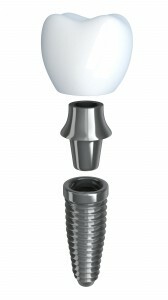 Well, we’ve got some quick facts about dental implants worth your consideration. If you are curious about or considering dental implants Visalia dentist Dr. Bodensteiner can talk with you to see if they are the right decision for you! So contact us today to see Dr. Bodensteiner.